Hi there ! The first one I am almost certain is a Spaghetti Squash. 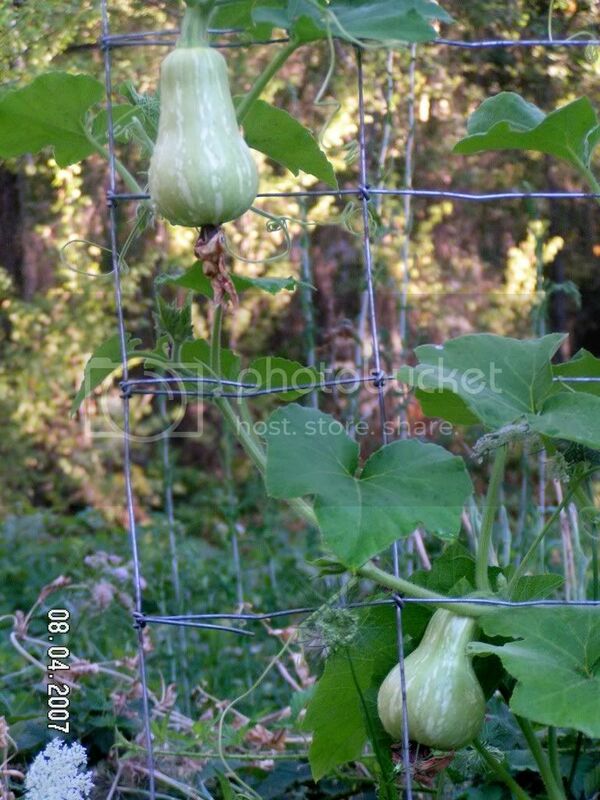 The second picture is one of the varieties of a Gourd. Well, that sorta changes me opinion ... that's not a gourd. Have Time Saving Ideas for Planning a Vegetable Garden?